I recently realized I needed to go back-to-basics with my cooking and started studying spices. After all, flavor is the key success to any dish and much of the time the "wow" factor comes from the right spice combinations. 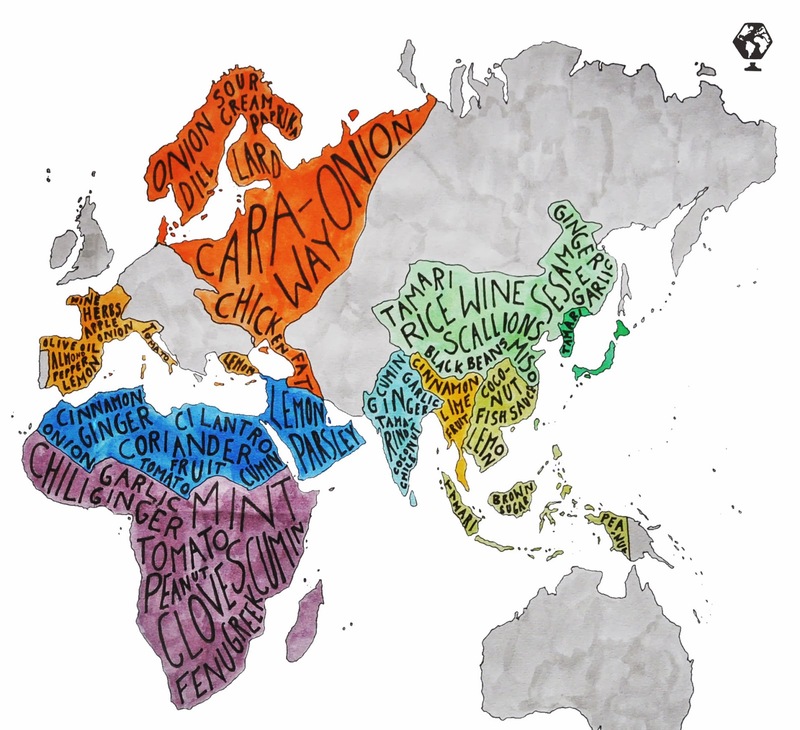 I came across this wonderful map and article from Tim Ferriss, author of The 4-Hour Chef. Tim reached out to his favorite chefs and food bloggers for some amazing recipes featuring these spices from the regions on the map. He put together 36 flavor combinations with recipes that will help you cook around the world! Click here to see Tim's post with recipe links.